It’s Thanksgiving week. Time for turkey, football, family and the giving of thanks. Thanksgiving is usually my favorite holiday, but this year my wife has cancer. The annual feast of gratitude takes on a new dimension when you are experiencing life with the number two cause of death in America. Even though she is doing well, and the prognosis is for full recovery, it is a sobering time. I should be depressed and angry. Certainly, my wife would have a right to be out of the holiday mood, but… that’s not how we feel. We feel thankful. 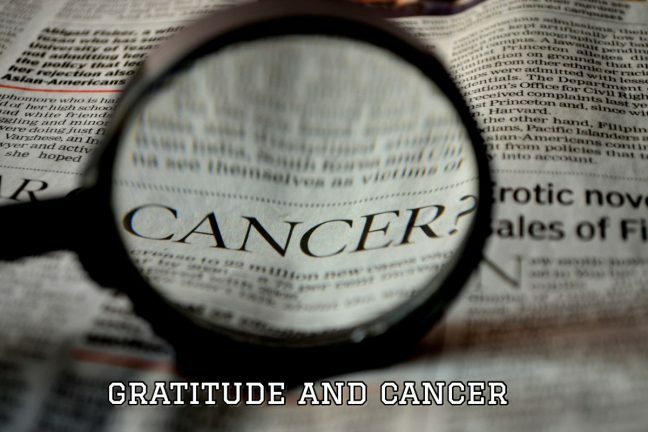 How can we feel gratitude with cancer in our lives? The question is really bigger than that. How can you feel gratitude when your life is in a serious downturn? Can you be grateful when someone you love has recently died? Can you be thankful when your child is in prison? Can you be grateful when your family has been shattered by divorce? Can you be thankful when your business is sinking financially? First of all, if you will access gratitude you will be happier. Why? You will enjoy better relationships with your friends and family. You will enjoy greater success in your work. You will enjoy more of the life you have left. Our pain can narrow our vision. We can fail to see the good that still abounds in our lives when we are dealing with a disappointment or pain. The Bible commands us to be thankful in all circumstances, because in almost all situations there remain reasons to rejoice. 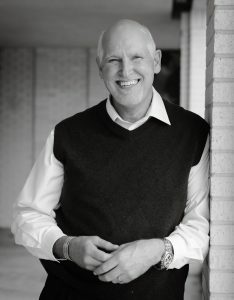 I choose to be grateful this thanksgiving in spite of my wife having cancer because I want to be happy and I refuse to be bitter. I hope you will choose gratitude as well this holiday season even if you’re going through a difficult time. So pass the cranberry and the candied yams. Turn up the volume on the TV and let’s root for the Cowboys. Oh, and if you ask me to pray, get ready for little bit longer prayer than usual, because I want to thank God for all Barbara and I still have in spite of her cancer.